At Law Offices of Hasbini, we are committed to providing immigration legal consulting and services of the first order by following methods that deserve the confidence of our clients, our employees and our representatives. To do this, we must protect the personal information which we are communicated. We have therefore adopted the general principles of the protection of personal information set out below, which dictate our way to collect, use, retain and disclose personal information. We observe the following principles with regard to the processing of personal information of our customers and our employees. We collect personal information in accordance with applicable laws and in a manner faithful to the ethics, in order to be able to offer our products and services and conduct our activities. We only collect the necessary information, directly or indirectly, to exercise these functions. If you visit our Web site, please be aware that we may collect information such as your IP address, the type of operating system you use, the time and duration of your visit and the Web pages that you visit in order to measure the use of our sites and to improve your experience. For more information, please refer to the Declaration on the protection of personal information online. We can use and disclose your personal information for the purposes provided for in less that you do not have explicit consent or that the law permits or requires. For example, within the limits stated above, we may disclose certain information to our reinsurers, to our agents or representatives or to our service providers. We do not disclose your personal information, without your consent, to any organization that is not part of our group of companies so that it can offer you its products or services. We retain your personal information only for the period necessary to perform the functions for which they have been collected, or as long as the law permits or requires. We are aiming to ensure that the personal information about you stored in our records will be as accurate and current as required by the functions for which they were collected. We protect the personal information by security mechanisms appropriate to their nature, so that no unauthorized person has access, does the press release nor use. If you have any questions about this privacy statement or the practices of this site, please contact us. We pledge to treat with care the personal information which we are entrusted. We have appointed people who must ensure the continued fulfilment of the principles of confidentiality. We are at your disposal information on our practices and our policies relating to the treatment of your personal information. On written request on your part, we tell you, to a reasonable extent, the personal information which concern you and the circumstances in which they are used or disclosed, if the law permits or requires. In addition, you can check if your personal information is accurate and complete and request that it be changed, if there is a place. 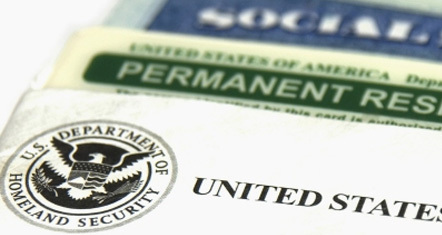 Law Offices of Hasbini is a provider of immigration legal consulting and services which carries out its activities in San Diego, United States.